Winter Is Coming! For many of us, that means it's time to either put the cover on the grill and store the BBQ tools away until spring or add a snow brush to our grilling utensils, then bundle up in as many layers as we can so we can still enjoy grilled foods once winter hits. We're year round grillers here, and while I despise standing out in the snow and cold, it's something I'll suffer though because many of our favorite recipes are grilled ones. 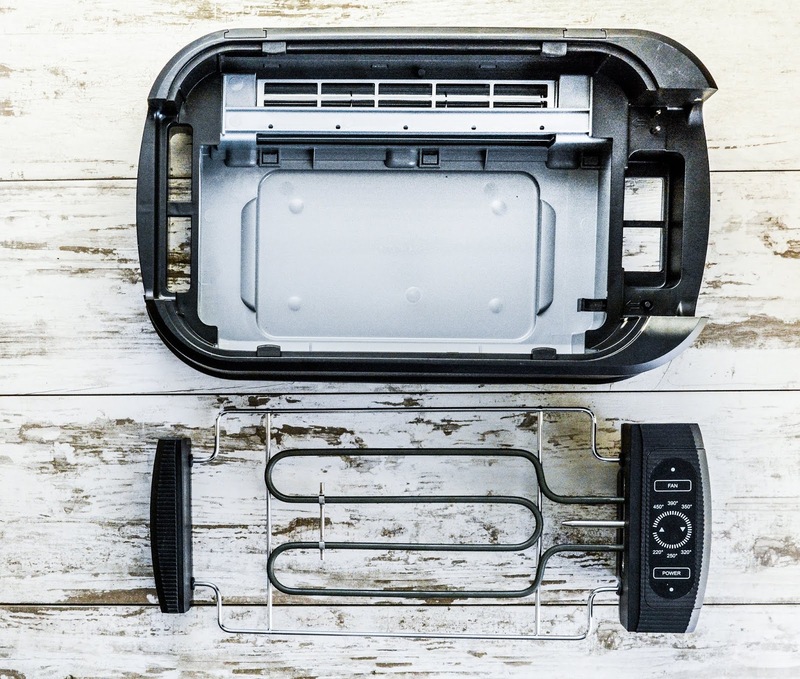 If you're like me, want the grilled foods without dealing with outdoor elements, you're going to be as thrilled as I was to learn about the new Power Smokeless Grill™. One of the newest kitchen must haves from TriStar, who have also brought us the incredible Copper Chef® cookware and Power Pressure Cooker XL™ that I can't live without, allows us year round grillers to suffer no more! Now you can have grilled foods without the hassle of messing with an outdoor grill. 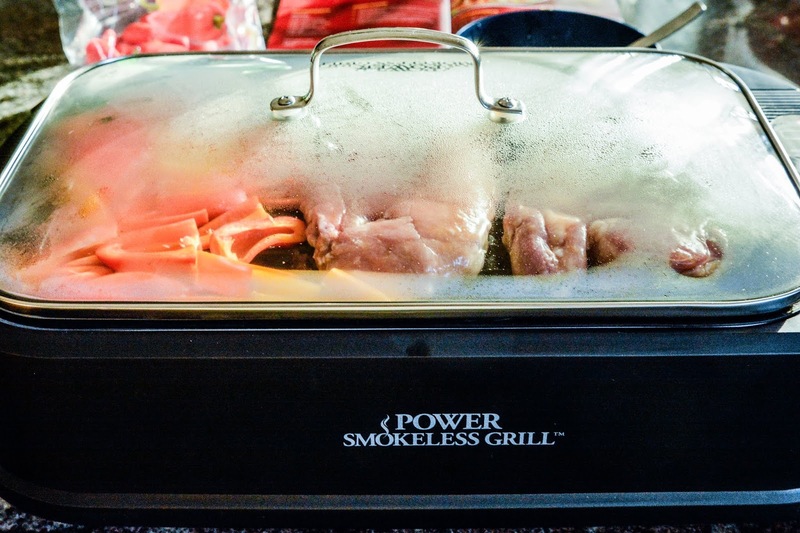 The Power Smokeless Grill™ is the first indoor grill with smoke-extracting technology so you can grill inside without worrying about stinky smoke filling the house and setting off the smoke alarm. This 7 piece unit is all you need to bring the taste of outdoor grilled food indoors. With its extra large grilling surface, you can fit a family meal of meat and veggies on the plate and have dinner whipped up in no time. Enjoy the charbroiled foods you love without standing out in the cold, messing with charcoal or propane. The secret to the char-grilled flavor is the heat source is built right into the grill plate, reaching up to 450 degrees Fahrenheit. 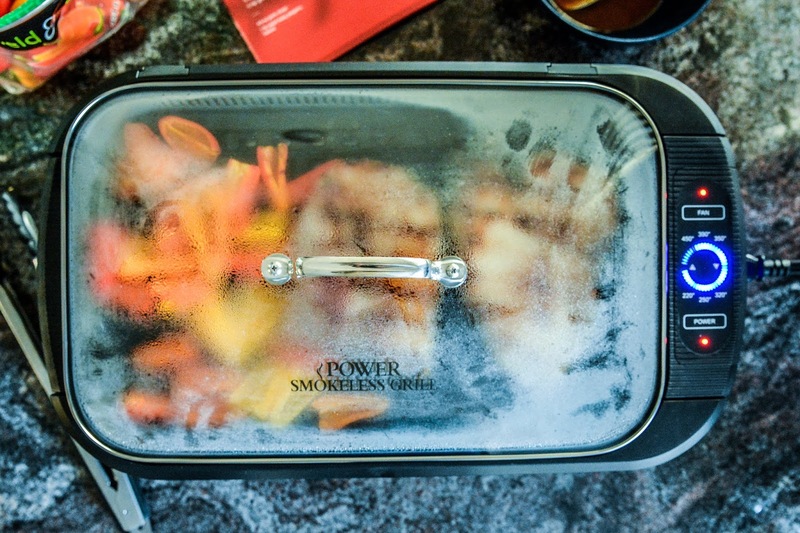 The grates in the pan allow for the grease to fall into the drip tray below, making this not only a tasty way to grill indoors, but a healthier way of cooking as well. The Power Smokeless Grill came with 2 cookbooks, so the first thing I wanted to do was try my hand at grilling some pork chops and peppers. After the initial marinating step, dinner was served in 15 minutes. 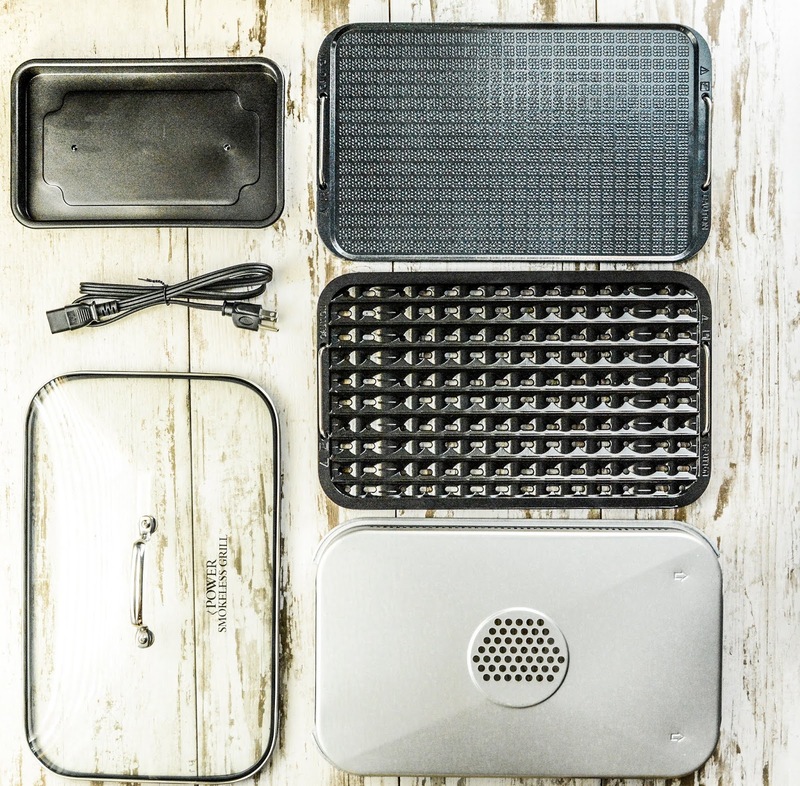 How did the Power Smokeless Grill compare to a traditional outdoor grill? I was thrilled to see that there was no difference in texture or flavor! The meat came out juicy and tender and had that char-grilled flavor you love to get from grilling. I was a little worried about cleanup though. You can see some of that marinade on the grill plate cooked up crusty and black, so I figured I was in for a little scrubbing. But, the cast aluminum grill plate is super non-stick, so I was able to just wipe the crusty bits right off, no elbow grease required! While I hand wash the plates, they are dishwasher safe, as are the accessories, so cleanup is always a snap. 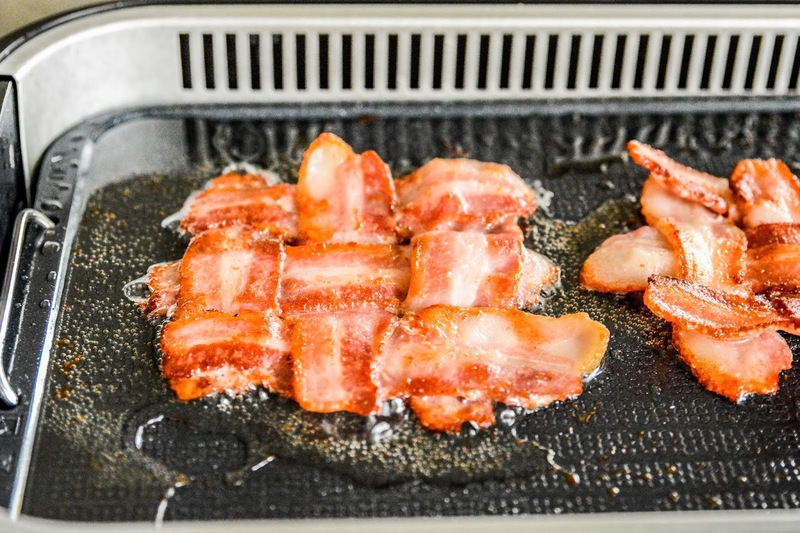 With the Power Smokeless Grill, you can enjoy grilled steaks, fish, pork, and pizza year round, but what I also like is that it doubles as a griddle. 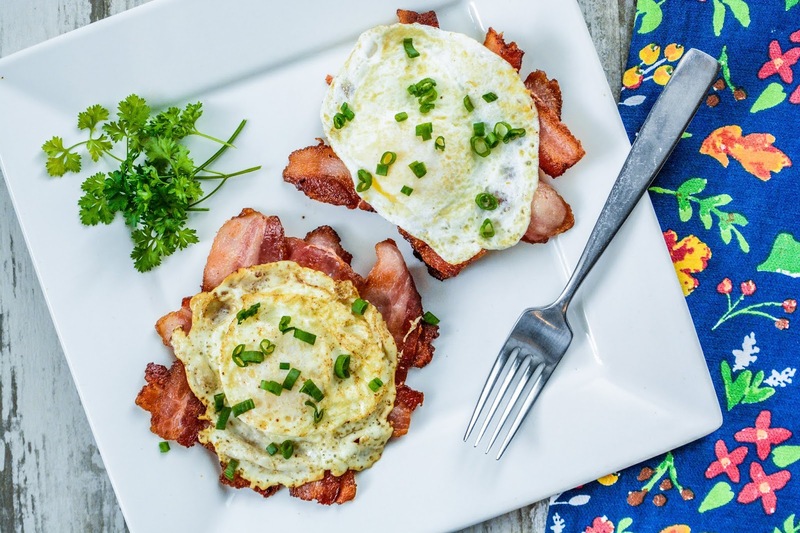 Simply swap out the grill plate for the griddle plate and you can enjoy your favorite breakfast too. I fried up some basket weaved bacon this weekend that not only turned out crispy and flavorful, but left no smoke in my kitchen when I was done. That is something that I have never had happen before, even with turning on my overhead stove vent to help with the smoke and smell of cooking breakfast foods. The griddle plate is also super non-stick. I didn't use any cooking spray on it, just a pat of butter, then fried up some eggs. I will say that it was so non-stick, when it was time to flip over my eggs I had a bit of a go getting them on the spatula because they were sliding all over the griddle. You don't have to worry about torn or sticking eggs here! The main selling point to the Power Smokeless Grill is the grill itself, but if there's one recipe I insist you make, it's the O'Brien potatoes on the griddle. OMG y'all. Talk about the best potatoes I've ever had! 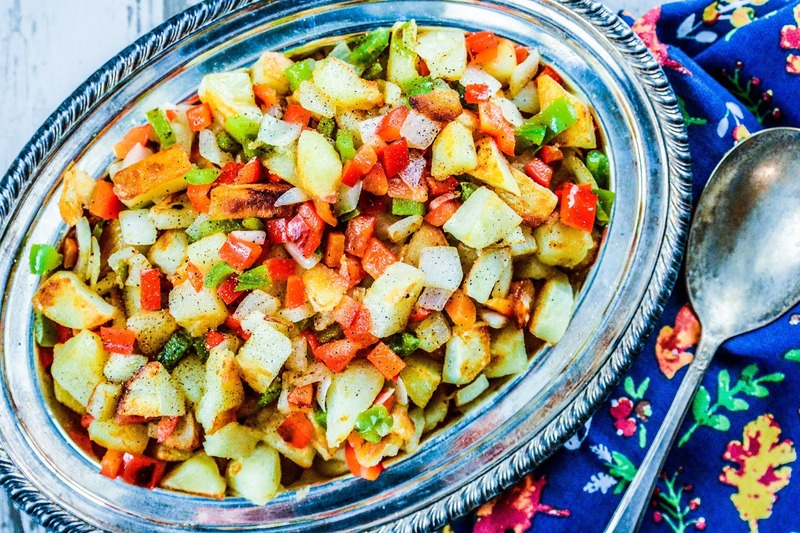 Crispy outside, fluffy inside potatoes surrounded by tender peppers and onions. I could (and almost did!) eat the entire batch all by myself. 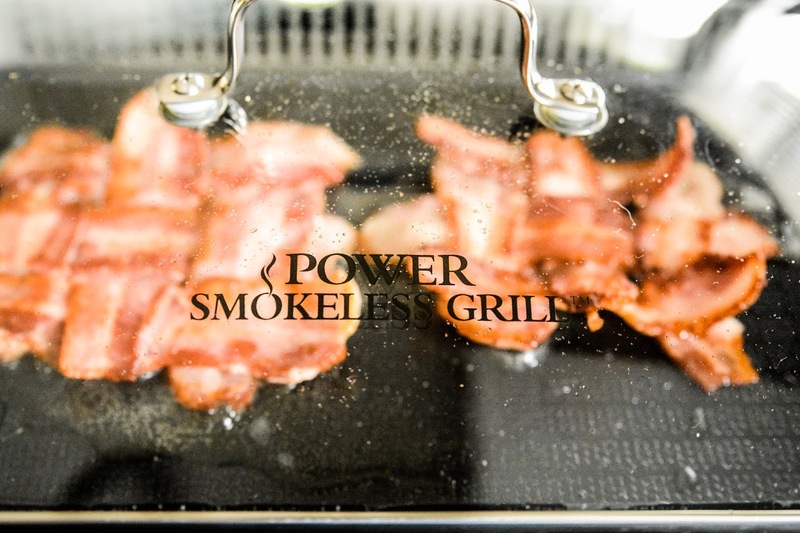 If there's one new kitchen appliance you wanted to add this year, I highly recommend the Power Smokeless Grill™. 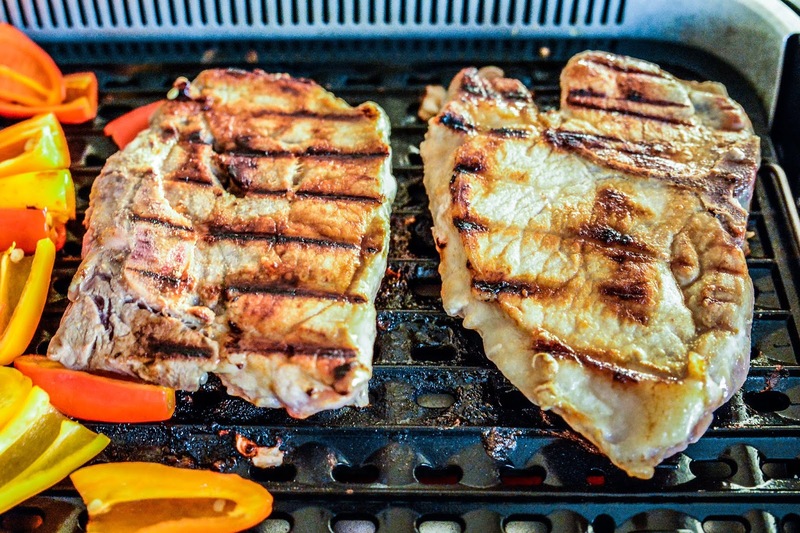 It's the best way to grill, griddle, and infuse your foods with flavor year round. I did just see on the website where they are running an early Black Friday Special of buy one get one half off, so you could gift one to a loved for for the holidays, then treat yourself to one half price. For all of the amazing recipes you can make with just one unit, I'd say that's a deal that can't be beat! 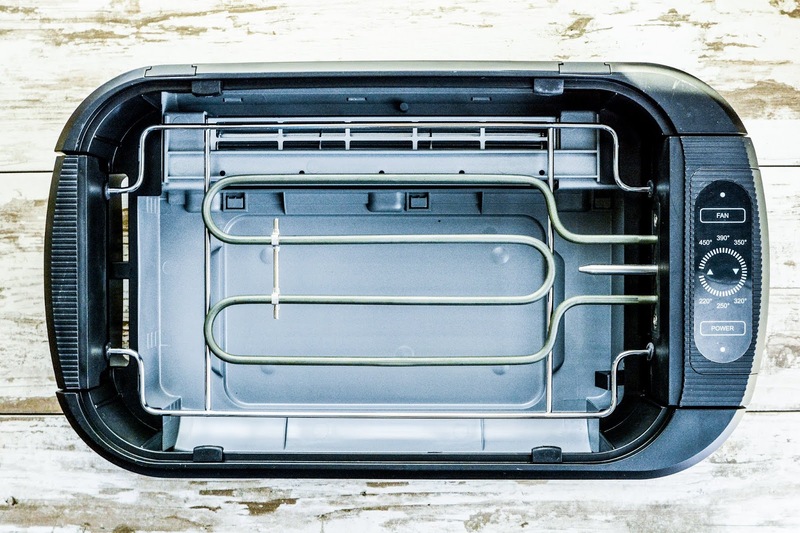 Are you a year round griller or do you pack your grill away once winter hits? I did clear out a section of my basement for shelving all of my appliances. I am trying to eliminated stuff I no longer use, like the bread machine and such, and stick with these multi-use appliances. I've taken 3 carloads to the thrift store already and will have a few more by the time I"m done with everything. My husband is going to LOVE this! 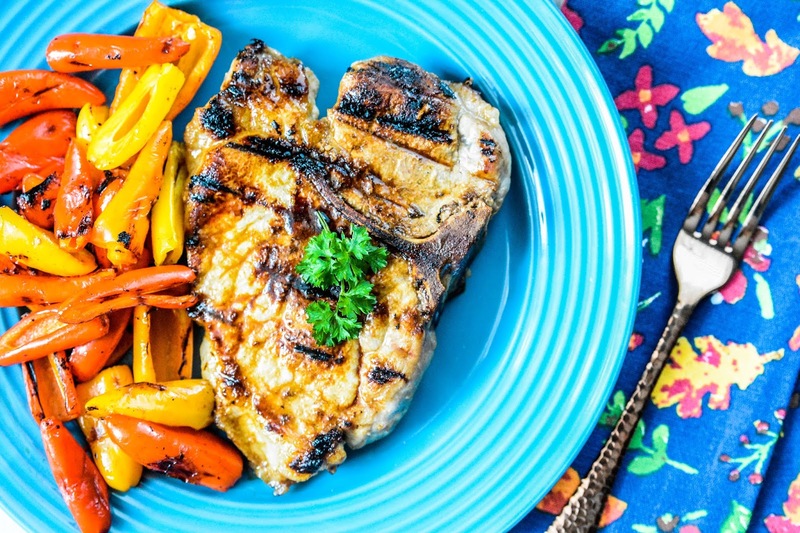 He loves grilling and he practically goes through withdrawals during the winter months. This is the ultimate gift for him this Christmas. This would be the perfect appliance for him then Stacie! My husband does go out in colder weather to grill if it is not snowing but this grill indoors is great, I f there is not a smoke issue i am all for it and it seems like it cooks everything. I do the grilling and go out in the snow and cold too. I much prefer this indoor grill over dealing with those elements! Oh I think I would like that. I think you would like it very much Mary! Being a vegetarian also, I hardly have a use for one myself, but I do LOVE grilled veggies so I toss those on when I grill the family steaks or burgers. That sure sounds like a win indeed. No going out in the snow and getting the same result as if you did it on the outdoor grill sure make it a must have. Who wants to deal with the snow and cold when you can get the same taste in the warmth of your own home? It would make for an awesome Christmas gift! My oldest son loves to grill, but he just sold his house and moved back into a condo...which means he gave his grill away. I bet he'd love this for Christmas. If I get it for him, I'm headed over to make these potatoes for everyone the day after Christmas (we're all spending the night at his place on Christmas Day). Those look so good. I think I need to get this grill! Those foods are making me hungry! I love the idea of a smokeless grill. I think good taste much better grilled! This looks like it would be so awesome to be able to use indoors. That way you can grill food all year round. Knowing us we'd dump our outside grill, and just use this. It looks so much easier! The fact that you can use it indoors, or out is way cool! We do grill year round at times. i want to have my own smokeless griller! It's perfect for Sunday bbqs! Oh this is innovative. This would be a perfect gift for any guy who loves grilling but doesnt want to wait until summer.